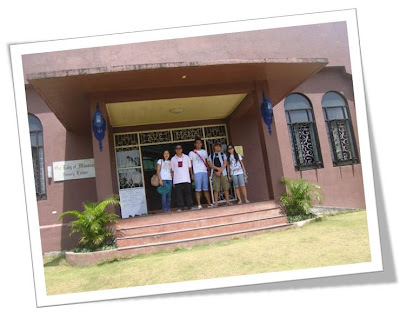 Black Saturday - April 23, 2011, Eventhough our tradition states, "Dili pwede magsige ug laag/lakaw kay ang Ginoo namatay" (It is not advisable to go out because Jesus died) but I, together with four buddies, commuted to St. Benedict's Monastery not for fun but to attend a prayer through the Way of the Cross and discover the hidden treasure which for sure everybody knows not about it. 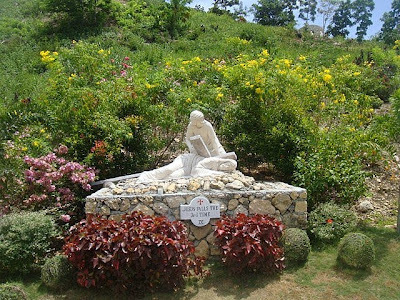 This monastery is situated at Barangay Corte, Carmen, Cebu and is maintained by Benedictine Monks of the Sylvestrine Congregation. 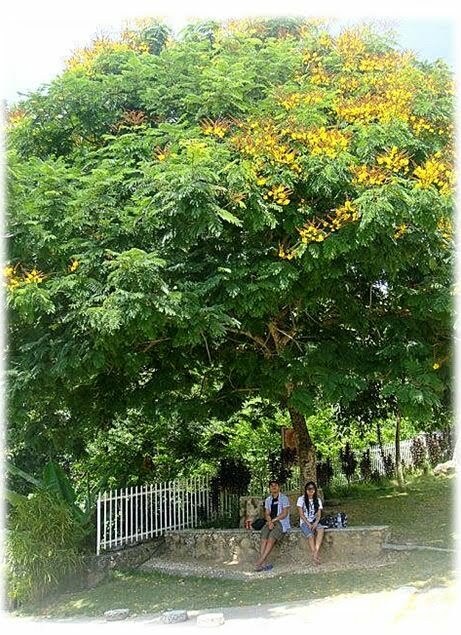 In this holy place we can find the famous Our Lady of Manaoag - very known here in the Northern part of Cebu. So if you are from Mandaue City or any locations here in Cebu and do not have service or owned wheels, you can actually start at North Bus Terminal which is situated at Reclamation Area in Mandaue City. From there, take a mini-bus going to any places in the North and asked the driver to make a stop over at Carmen Market. You are obligued to pay PHP 40.00 in this part. 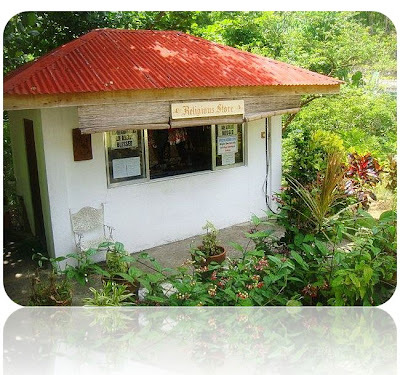 Next is to ride a single taxi (lols) or Habal-Habal which can take two people in the back ride in just PHP 60.00 or PHP 30.00 each. 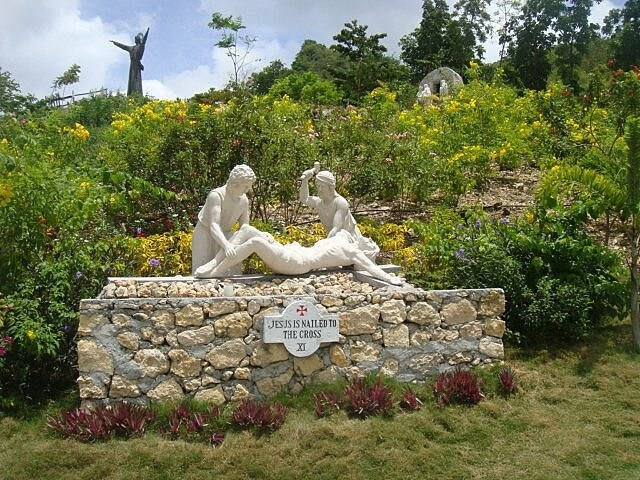 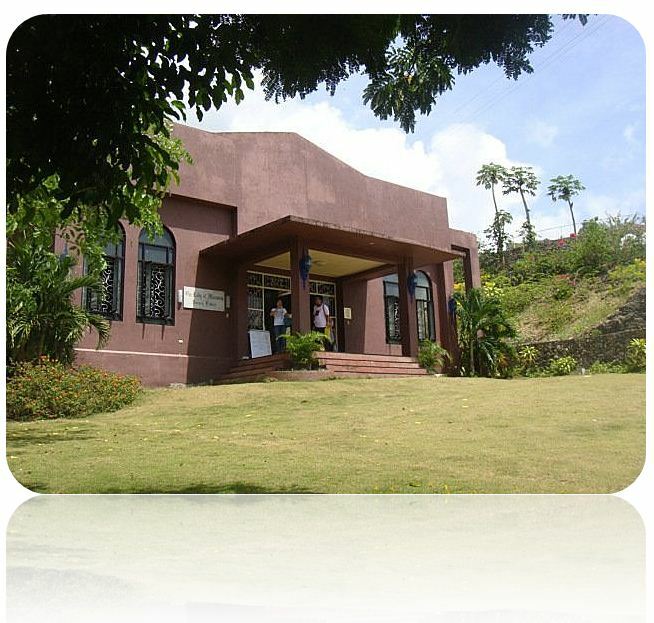 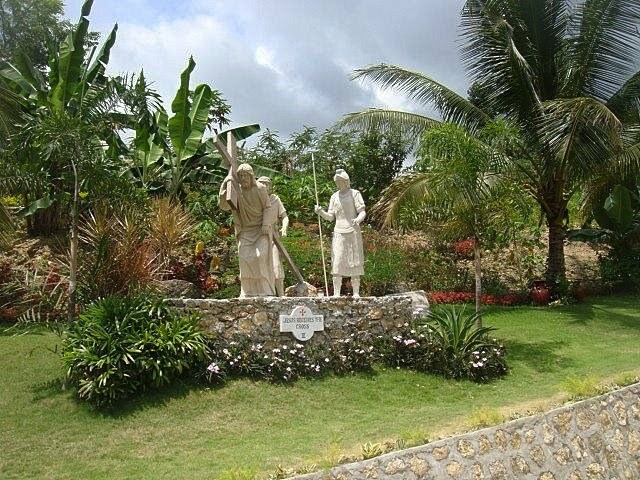 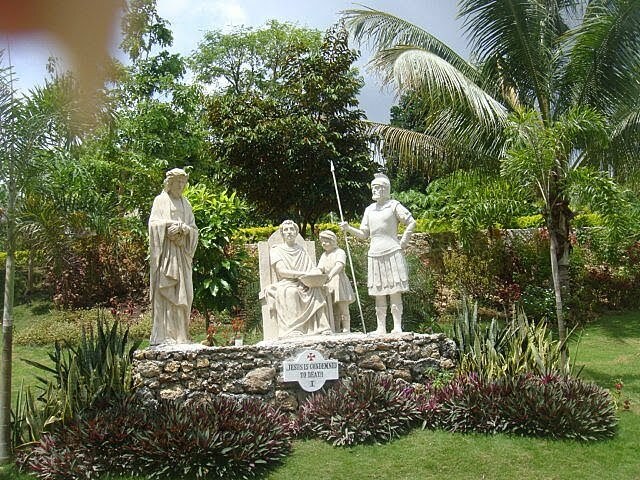 Simply asked the driver to drop you off in St. Benedict's Monastery and they will know what to do. Please note that there is no canteen or stores inside the solemn monastery. 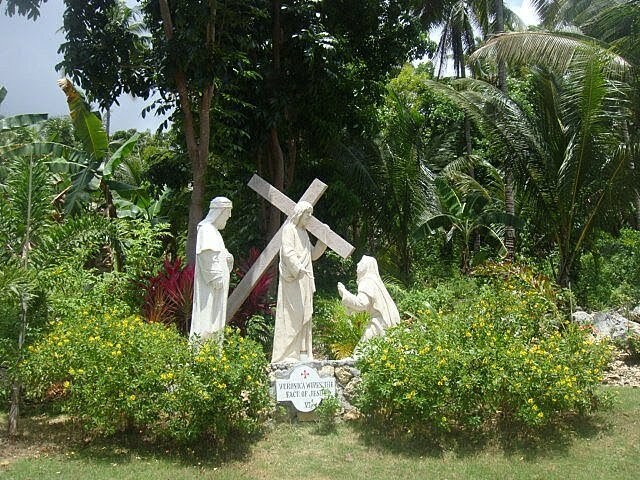 So, it is advisable to take your own foods and snacks because you can eat and do some siesta after your prayer in their cottages. 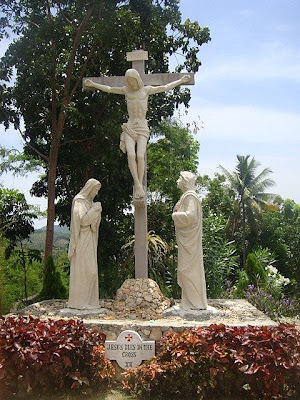 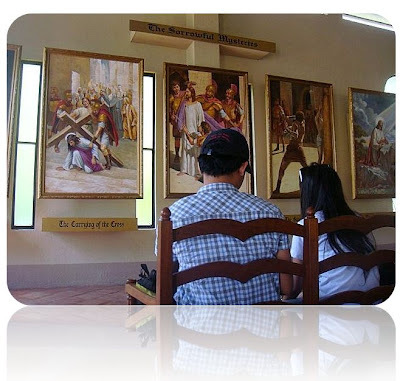 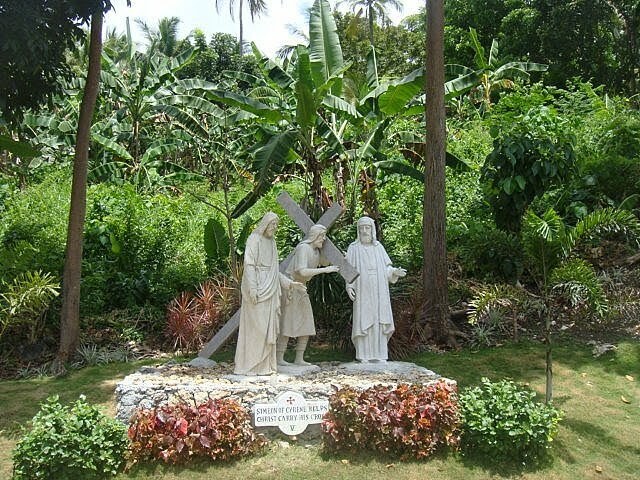 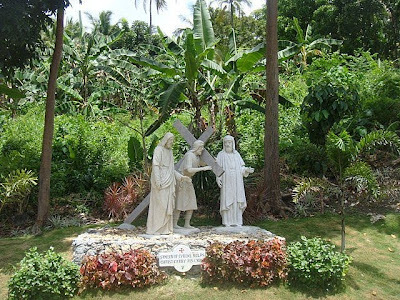 After we sit and pray at the Our Lady of Manaoag Rosary Center, we then headed in the Way of the Cross location in which you can find the almost human like sizes of the characters in each 14 stations of the cross. 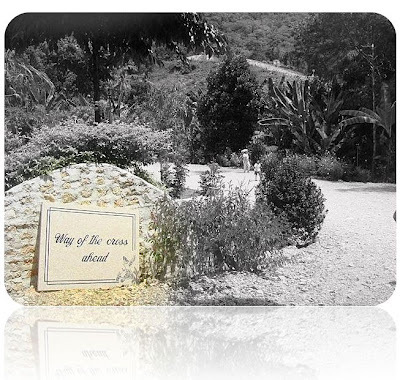 The road is not rough and it is cemented. 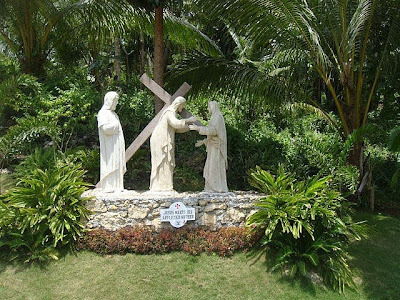 Unlike Simala's Stations of the Cross, there is only one way, and it is going up. 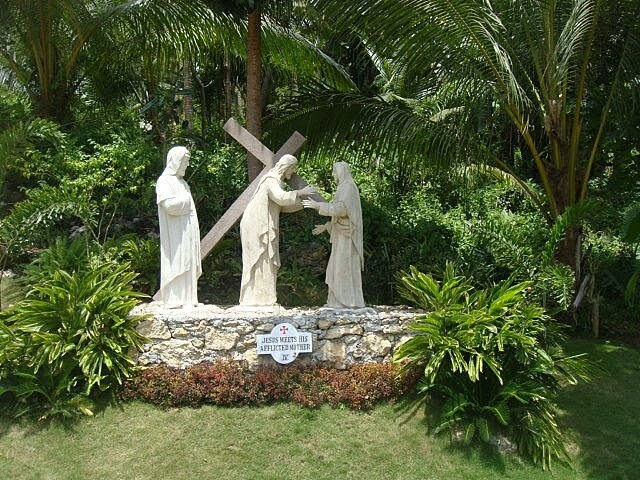 It was around 10:00 Am when we did the Way of the Cross prayer, very hot which gave us a true sacrifice on that moment. 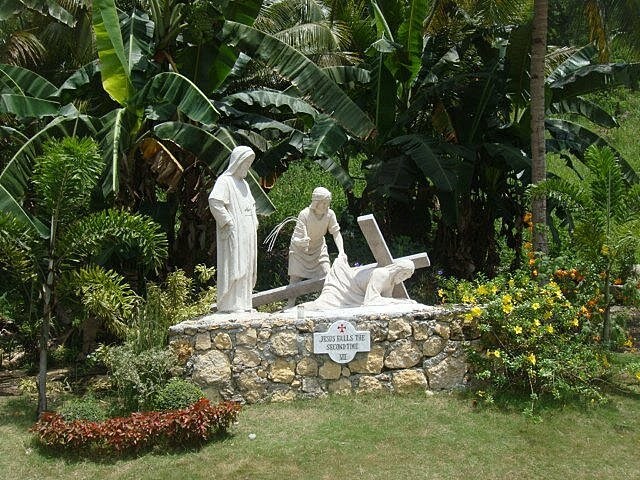 After we spoke the last prayer, we took a rest just under the big statue of resurrected Jesus Christ. 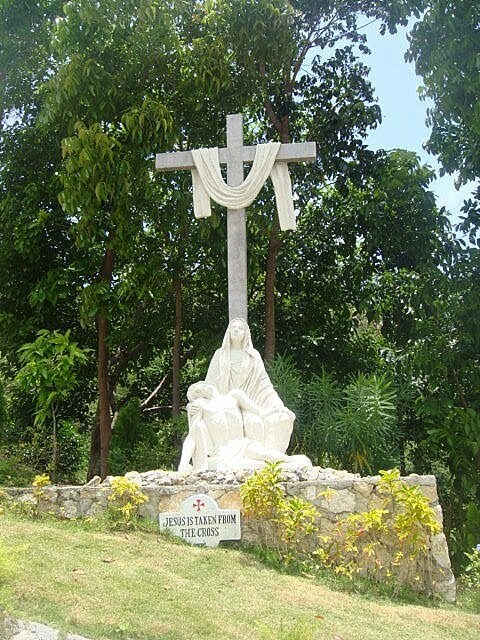 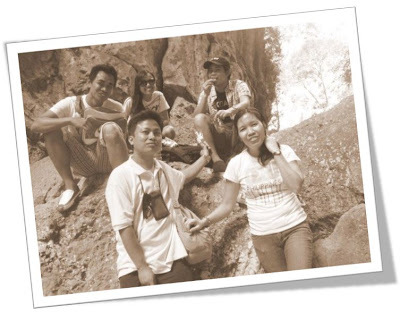 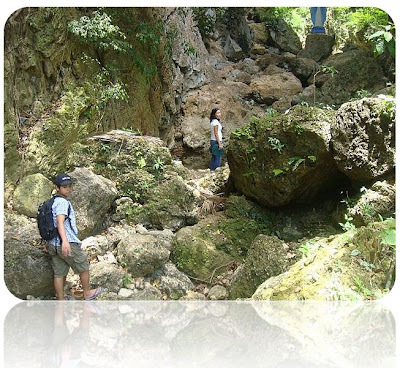 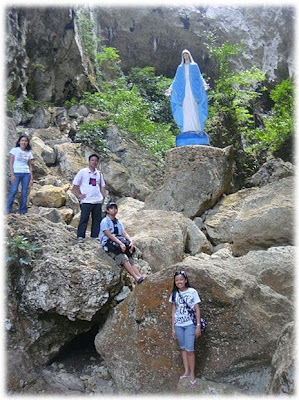 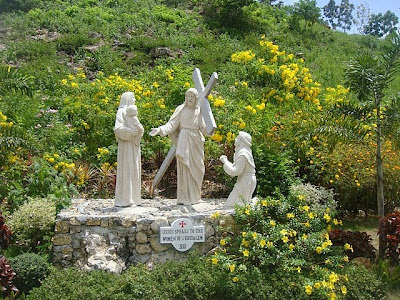 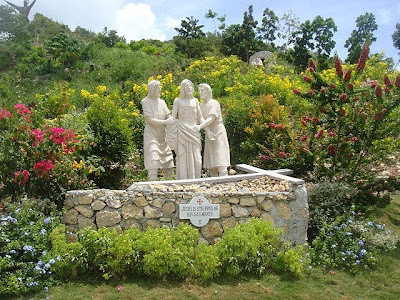 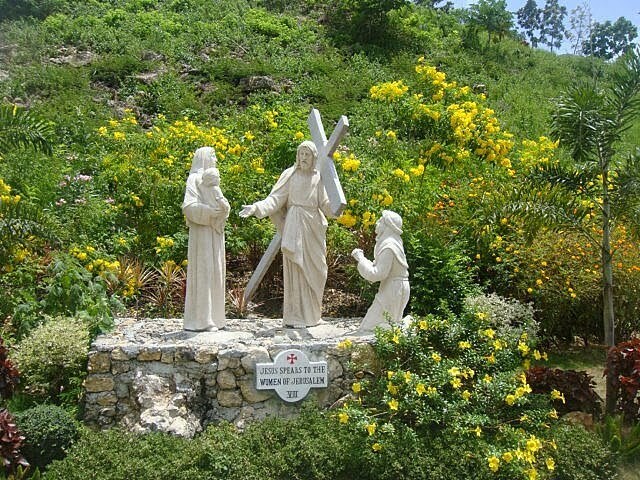 Then, the group decided to trek the rocky journey going to the cave where the huge image or statue of our Lady of Immaculate Conception is located. 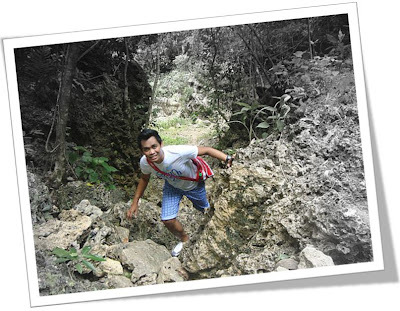 We are almost there, yepey! It was fulfilling and the feeling is light after seeing the huge state of Our Lady of Immaculate Conception. I think only few of the people in that place knows this holy property because it seems we are 50s inside the monastery but only few of us discovered the Holy place. 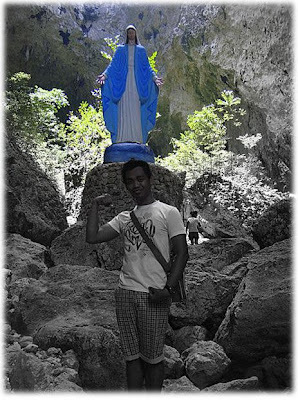 It's me, see? 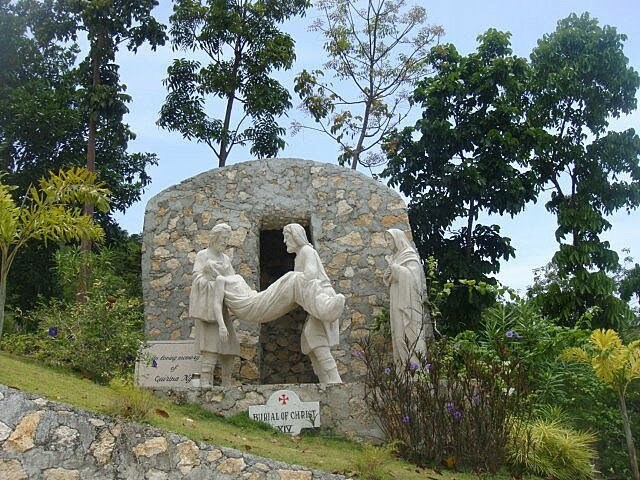 I made it! 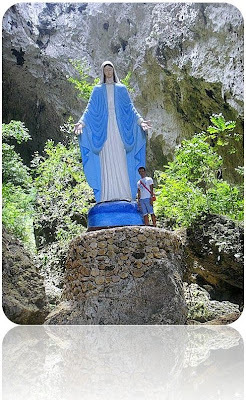 If you want to visit St. Benedict's Monastery, never forget to also visit the hidden image of Our Lady of Immaculate Conception which is located just in the mouth of the cave. 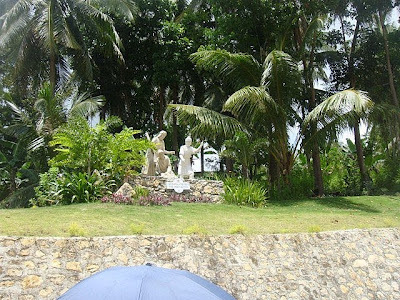 the statue is indeed huge and its location is stunning! 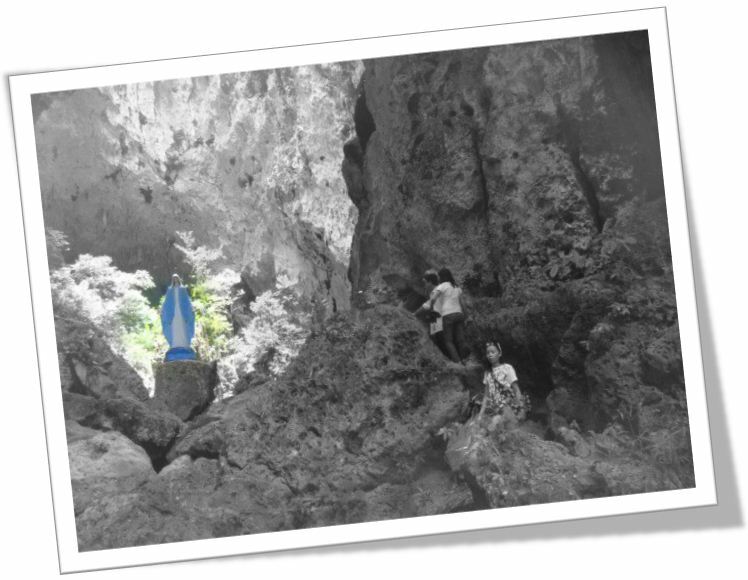 naa ra na sa monastery ang cave sa Immaculate Conception? can I buy St. Benedict medals in the Monastery?